1. Where is the Access Office? How do I contact the Access Office? 2. 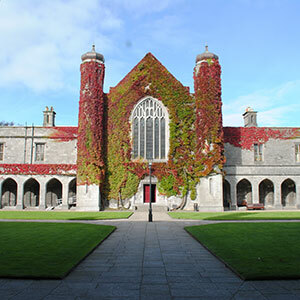 Where can I do an NUI Galway Access course? 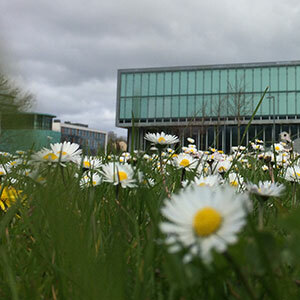 At present, NUI Galway’s Access Office runs courses in Galway, Sligo, Ballinasloe and An Cheathrú Rua. Some of our courses are full-time and others are part-time (see below for details). 3. Who can apply to participate on an Access course? Anyone who is interested in progressing to third-level education, but who may not have the conventional entry requirements, and/or who has experienced educational and socio-economic disadvantage (including chronic illness or disability) can apply to participate on an Access course (also known as an Access programme). A keen interest in learning is required. For more information on specific entry requirements, please see below. You must be resident in the Border, Midlands and Western (BMW) region or in County Clare for at least six months prior to the commencement of the course. You will not be eligible to participate on an Access course if you already hold a third-level qualification (Level 8 or higher), but you may apply if you commenced, but did not complete, a third-level course in the past. Usually your family income should be low enough for you to qualify for a student maintenance grant when you progress to third-level. 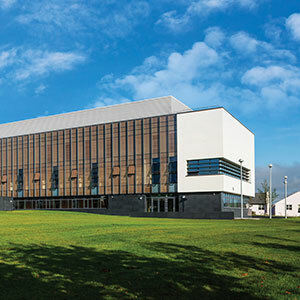 Students aged 21 or over who have not suffered educational or socioeconomic disadvantage, but who cannot enter Science or Business courses at NUI Galway because they do not meet the entry requirements for these courses, can apply to participate on the Diploma in Foundation Studies (Science, Technology and Engineering) or Diploma in Foundation Studies (Business). 4. Do I have to do an Access course to get in to NUI Galway as a full-time student? This will depend on your individual circumstances, including your age, your educational history, and the course(s) for which you are applying. Mature students and those with a Leaving Certificate (or equivalent) can apply directly to NUI Galway and other higher education institutions through the CAO before February 1st each year. Some degree courses have specific entry requirements; if you do not meet these, it may be possible for you to enter via the Access route. 5. Do I have to have a Leaving Certificate or any other qualifications to apply to the Access course? This partly depends on whether you are applying to the mature students’ course or the school leavers’ course (see Q6 below). If you are applying to the mature students’ Access programme, no specific qualifications are required. If you are applying to the school leavers’ Access programme it is preferable, but not essential, that you hold aLeaving Certificate/Leaving Certificate Applied, with two C3 grades on higher-level papers and four D3 grades on ordinary or higher-level papers. Any other qualifications held – e.g. FETAC – will usually support your application, regardless of which programme you are applying for. 6. Should I apply to the Access course as a mature student or as a school leaver? If you were aged 22 or over on 1st of January 2018, you should apply to the mature students’ course. If you successfully complete this course, you will be able to enter NUI Galway as a mature student (aged 23 or over on 1st of January of the year of entry to your degree course) in the following academic year. If you were aged under 22 on 1st of January 2018, you should apply to the school leavers’ course, even if it has been some time since you left school. Please do take care to apply to the correct course as the application forms and procedures are different for these two categories of student. 7. When is the deadline for applying for an Access course? The deadline for applying to the access courses is Saturday, 1st June, 2019. Late applications will be accepted after this date, but, depending on the level of demand, you may only be considered for a place on one of our outreach courses (in Ballinasloe, Connemara, and Sligo). 8. How do I get an application pack? Apply online by clicking here for the mature Access application. Apply online by clicking here for the school leavers Access application. 9. How many places are available? There are a total of 80 places available on the Access courses for mature students and school leavers in NUI Galway. There are a further 40 places available in Sligo, 30 places available in Ballinasloe and 20 places in Connemara. Unfortunately there is a lot of demand for these places so we cannot offer places to everyone who applies. 10. How much does it cost to do an Access course? 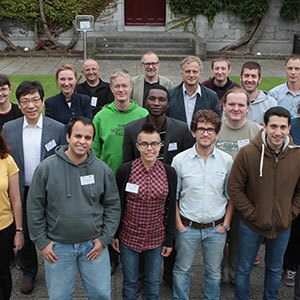 At the moment, the costs of the courses are borne by NUI Galway, contingent upon funding. This means that Access courses are free. However, there is a cost to complete the part-time Diploma in Foundation Studies (Business), and the part-time Diploma in Foundation Studies (Science, Technology and Engineering). If employed, the cost for the year is €380; if unemployed, the cost is €60. 11. Will there be any financial support available to me if I do an Access course? Unfortunately there are no specific financial supports available to Access students. Applicants considering commencing an Access course should enquire with the Department of Social Protection to find out if they might be entitled to any payments while attending the course. 12. Will there be financial support available to me if I go on to college? Full-time undergraduate students at NUI Galway who experience financial difficulty may also apply to the University’s Financial Aid Fund for assistance. The amount that you receive from this Fund, if any, will depend on a number of factors, including the numbers applying, the amount available in the Fund, and your personal circumstances. 13. I am completing an application for an Access course. Who can I get a reference from? Applicants are required to name two referees. Applicants should request their referees to complete the standard reference form (included in the application pack) and return it directly to the Access Office. A referee cannot be a family member. Preferably, your referee would be someone who knows you in an educational or work capacity, e.g. a past principal, teacher, tutor, employer, or manager. They should be able to comment knowledgeably and honestly on your academic ability. Please read through the application guidelines for more information on references. 14. I am completing an application for an Access course. What is a P21 and where can I get one? A P21 is an overview of a person’s income/earnings in a given calendar (tax) year. The Access Office requires a copy of your P21 for the previous calendar (tax) year as part of your application. You can request your P21 from your local Revenue Office. More information is available from Revenue. 15. I am completing an application for an Access course. What is a Notice of Assessment and where can I get this? If you, your spouse, or your parent(s)/guardian(s) are self-employed, Revenue will issue a Notice of Assessment once they have received your/your spouse’s/your parent(s)’/guardian(s)’ tax return. This document confirms your tax position for the relevant calendar (tax) year. More information is available from Revenue. 16. I am completing an application for an Access course. What is a Copy of Accounts and where can I get this? If you, your spouse, or your parent(s)/guardian(s) are self-employed, there is an obligation to make an annual return to the Companies Registration Office (CRO) every year. In most cases, financial statements (or accounts) must be annexed to the annual return. You should submit a copy of these accounts for each business and for the relevant year with your application, if applicable. More information is available from the Companies Registration Office. 17. I am completing an application for an Access course. What is Form RP50 and where can I get this? If you, your spouse, or your parent(s)/guardian(s) have been made redundant, in most cases the claim for a redundancy payment (lump sum) is made by completing and submitting Form RP50 online. Once the claim has been submitted, a copy should be printed and signed by both employer and employee. Further information is available from the Department of Social Protection. 18. I have applied for a place on the Access course. When should I expect to hear from you and when do interviews take place? This depends on when you apply. Mature applicants who apply before the closing date for applications can expect to be interviewed in May or June. Mature students who apply after the closing date for applications may be interviewed in July or August. Late applicants for places on the mature course may be placed on a ‘reserve’ list of candidates, and/or may be offered a place on one of our outreach courses in Sligo, Ballinasloe and Connemara. School leaver applicants who apply before the closing date for applications can expect to be interviewed in August or September. School leavers who apply after the closing date for applications may be interviewed in early September. Late applicants for places on the school leavers’ course may be placed on a ‘reserve’ list of candidates, and/or may be offered a place on one of our outreach courses in Sligo, Ballinasloe and Connemara. The Access Office will contact all applicants by letter to advise them whether they have been called to interview, and, if so, where and when their interview will take place. Access Office staff will follow up by phone to confirm your availability for interview. 19. If I get a place on an Access course, when will the course start? The different courses start on different dates in September and October. 20. If I get a place on an Access course, how many hours a week will I have to attend for and on what days and times? This depends on which course you are taking. The access courses for mature students and school leavers in Galway are full-time, and you are expected to be on campus from 9 am – 5 pm, Monday to Friday, during term time. Classes on the part-time Ballinasloe , Sligo, Connemara courses take place on two evenings per week, with occasional Saturdays in Galway (approximately one per month). Classes on the part-time Diploma in Foundation Studies (Science, Technology and Engineering) and the Diploma in Foundation Studies (Business), both based in Galway, also take place on Tuesday and Thursday evenings, and approximately one Saturday per month. 21. If I get a place on an Access course, can you tell me the start and end dates of the course and the dates of holidays and exams? These dates are set out on the academic calendar for each course that is distributed at the beginning of term. If you need to know these dates before the start of term, you should contact the Access Office to request a copy of the calendar for your course. 22. What subjects will I study on an Access course? Business/Law: Diploma in Foundation Studies (Business) only: Accountancy, Economics, Mathematics (Advanced). On Access programmes: Economics, Mathematics (Advanced) plus two other Humanities modules from the above list. The module lists above are subject to change. 23. What qualification can I get at the end of an Access course and at what level is this qualification? Successfully completing students who achieve a minimum of 85% attendance will receive a Diploma in Foundation Studies. The Diploma carries 30 ECTS and is aligned with Level 6 on the National Framework of Qualifications (NFQ). 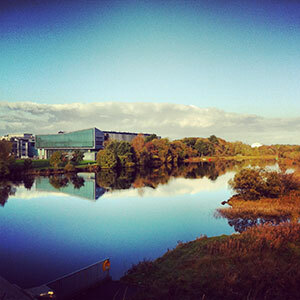 At present, the Diploma is an internal qualification, recognised for the purposes of entry to NUI Galway only. Students cannot use the qualification for entry to other higher education institutes unless by private arrangement. 24. What courses can I go on to do at NUI Galway if I successfully complete the Access course? Successful completion of the Access course allows entry into a wide range of programmes at NUI Galway, including the Arts, Business, Law, Science, Engineering, Informatics, and Health Sciences. Please note that you must still apply through the CAO for your chosen degree course(s). Entry to some degree courses is guaranteed; entry to others is competitive; and a small number of degree programmes do not accept students on the basis of the successful completion of the Access course. 25. Am I guaranteed entry into my chosen course at NUI Galway if I successfully complete the Access course? Depending on the stream/subjects that you take on the Access course, successful completion of the course will guarantee entry into certain degree courses. 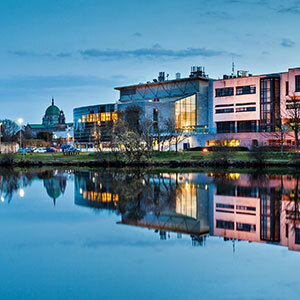 In general, if you pass all modules (subjects) and achieve a minimum attendance rate of 85%, you are guaranteed entry into undenominated degree courses at NUI Galway (for example, GY101 Bachelor of Arts; GY201 Bachelor of Commerce; GY251 Bachelor of Civil Law; GY301 Bachelor of Science). 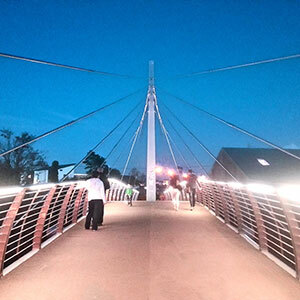 Students applying for GY401 Undenominated Engineering must achieve at least 60% in Advanced Mathematics. In addition, successful students can apply for places on a wide range of other degree courses at NUI Galway. Entry to some of these programmes is competitive, and there may be minimum entry requirements for some courses or modules (e.g. Health Sciences, Engineering courses, certain language courses). Access students receive a lot of advice and information about progression options in the Educational Guidance module over the academic year. A small number of degree courses at NUI Galway will not consider applications on the basis of successful completion of an Access course. These include courses in Medicine, mature Nursing, and Accountancy. 26. Can I apply to other higher education institutes after I have completed the Access course? You may apply to other higher education institutes when you make your CAO application. It is up to you to find out about the specific entry requirements for other institutes and whether they will consider your Diploma in Foundation Studies for the purposes of entry. 27. What is the difference between DARE, HEAR, and Access courses? The Disability Access Route to Education (DARE) is a college and university admissions scheme which offers places on reduced points to school leavers under the age of 23 as of 1st January of the year of application who have completed an Irish Leaving Certificate and who have the ability to benefit from and succeed in higher education but who may not be able to meet the points for their preferred course due to the impact of a disability. Application is through CAO at the time of applying to University. For more information about DARE and how to apply check out the website: http://accesscollege.ie/dare/. The Higher Education Access Route (HEAR) is a college and university admissions scheme which offers places on reduced points and extra college support to school leavers under the age of 23 as of 1st of January of the year of application who have completed an Irish Leaving Certificate and are from socio-economically disadvantaged backgrounds. Evidence shows that socio-economic disadvantage can have a negative effect on how well a student does at school and whether they go on to college. For more information about HEAR and how to apply check out the website: http://accesscollege.ie/hear/. You can also contact NUI Galway’s HEAR administrator access@nuigalway.ie or at 091 49 2106. Access courses are open to both school leavers and mature students (see question 5 above). Applicants do not always need to have completed an Irish Leaving Certificate or meet other entry requirements such as subjects studied or grades or points achieved. While the DARE and HEAR schemes facilitate direct entry into undergraduate courses, the Access courses are year-long pre-undergraduate level courses. Access courses are particularly suitable for individuals who might find it difficult or impossible to enter higher education and/or would find it difficult to cope with the demands of higher education due to lower skills, knowledge, or confidence. The programmes offer a supportive learning environment where students are equipped and enabled to access and successfully participate in third-level education.